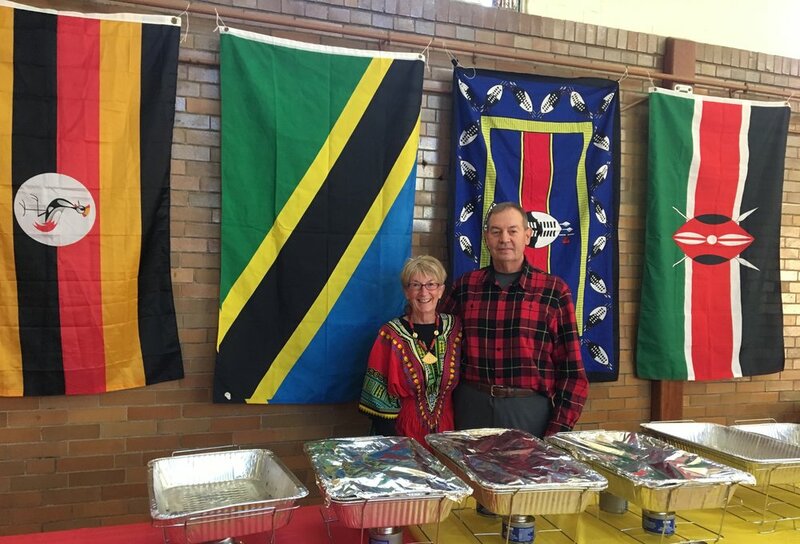 Every year KILEO hosts its annual Taste of East Africa fund-raising dinner in early October at Harmony School, 909 E. 2nd Street, Bloomington, IN 4740. October 6, 2018 is the date for this year's Taste. Festivities will begin at 6:00 PM. 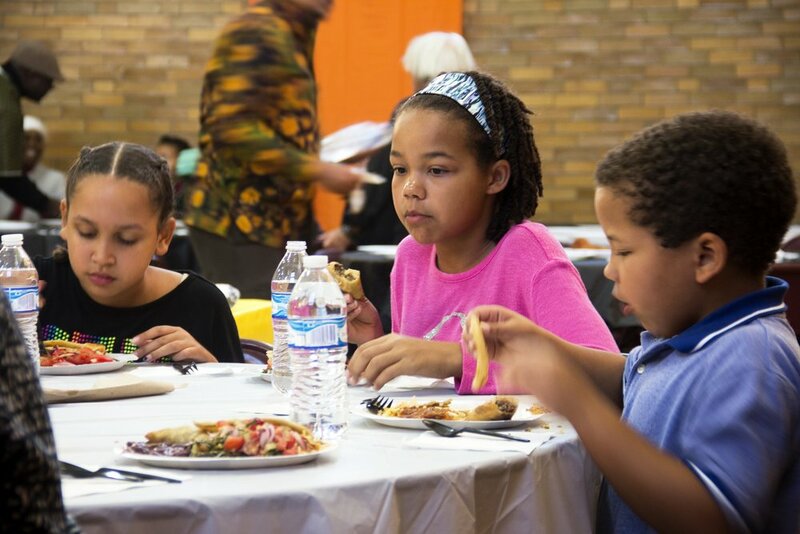 This family-friendly event features a buffet table with an array of tasty dishes not usually found in restaurants, such as maandazi and fresh fruit, veggie and meat Sambusas (Samosas), kachumbari salad, East African beef stew, rice pilau, collard greens, kidney beans and coconut milk, chapatti and baklava. National flags and traditional kangas deck the walls, and Board member Michael Edwards serves as MC, with East African music as a background. For the past two years, Betty Diamini-Cannady, an African language instructor at IU, entertained with singing and dancing and attendees learned new dance moves, joining the fun! Other Board members talked about the ways KILEO is helping in East Africa and showed pictures of educational projects, wildlife and scenery. The silent auction tables feature many hand-crafted items from East Africa, including artwork, jewelry and clothing. Every year it takes a village of volunteers, sponsors and donors to host this special event. Special thanks go to African Portfolio Safari Specialists and Comfort Keepers who have given generously to our cause and also to IU Global Village, Anatolia Restaurant, 10th Street Market, Harmony School, African Studies Program, Samira Restaurant, Sahara Mart, and the Ndanyi family. All proceeds go to benefit education in East Africa (see Projects page). Those who benefit from these projects need help throughout the year, so donations to KILEO are always welcome (see Donate section). To volunteer your time and energy, contact Billy Giles at: billy.giles1130@comcast.net.